HAS YOUR HORSES ATTITUDE TO WORK CHANGED RECENTLY? SHOWING DIFFICULTY IN COLLECTED AND/OR TRANSITION WORK? 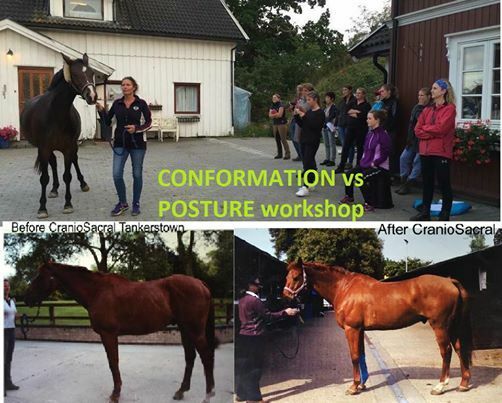 Understand more about conformation versus postural issues and how to detect them in this one day Equine Assessment Workshop on Friday 26th April, 2019. 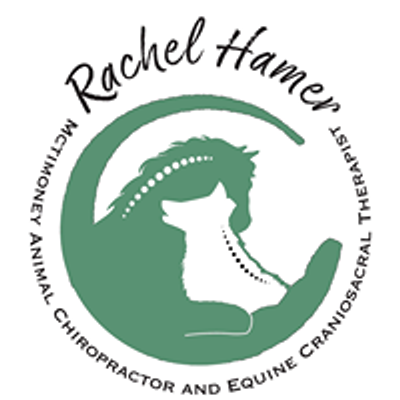 Maureen Rogers, a pioneering and leading expert in the field of Equine Craniosacral Therapy has designed an open day clinic for everyone from first time horse owners to professional equine specialists. Maureen travels internationally to teach, lecture and provide private consultations. Her work and knowledge cover a variety of disciplines including Olympic athletes plus top eventers and racehorses. Clinic participants will learn assessment techniques for both postural and bio-mechanical imbalances. 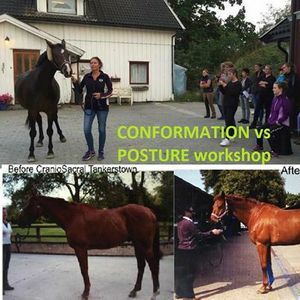 Maureen will also highlight the major differences between posture and conformation, whilst sharing some invaluable hands on techniques to address these issues.